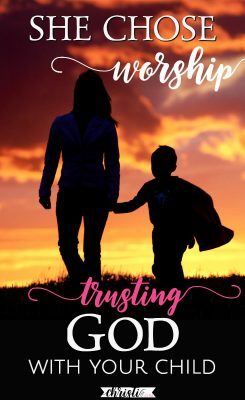 There’s one woman in the Bible who teaches us MUCH about what it looks like to trust God with your child and the secret to trusting him with your parent heart. If you are a parent, you’re well aware the time will come when you must finally let go. You’ll experience this in stages with a series of baby steps scattered over decades. … when you leave your baby with a sitter. … when you send him into a classroom alone. … when she sleeps over at a friend’s house for the first time. …when you watch him drive off without you riding shotgun. … and when you drop her off at college and drive away. And that’s just the short list of milestones. We could fill it in with a myriad of moments when you must choose to believe that the God who gave you your children is worthy of trusting as you give them back. But growing up is hard. Not just for your kids. For you, too. This parenting gig is not for the faint of heart. And it’s full of paradoxical goals. We seesaw back and forth between covering them with our wings and teaching them how to fly. God shaped us to love to be needed and yet commissioned us to train them to need us less and less. And when he gives them to us, they come with HIS “Terms of Service” and a clause in the contract: they are only on loan. And one day, he’ll want them back. This is often one of those “fine print” kinds of things we like to ignore until we’re forced to confront its reality. Speaking of contracts with God, there is one woman whose promise keeps coming to mind. Maybe it’s because I quoted her words on my last child’s birth announcement (more on that in a minute). We’re talking about Hannah. When the book of 1st Samuel opens, she is childless and miserable. Through her bitter weeping, she vows to God that if he will give her a child, she’ll give the child back to him. By the end of chapter one, God has granted her prayer and she fulfills her promise. She drops Samuel (who can’t be older than four) off at the temple with Eli and walks away. Her follow-through on her vow is not surprising to me. After all, she did play “Let’s Make a Deal” with the God of all creation. What IS unexpected is this: chapter two. In contrast to Hannah’s bitter weeping before being given a child, we get ten verses of blissful worship after giving her child back. I scratch my very human head and say, “What?? ?” You just left your baby at the curb. You loaded up all his belongings, traveled far away from your home, unloaded your child into the hands of others, and walked away. You waved goodbye as he turned to go back into the dorm Temple. Where is the ugly cry? I’m about to move her to college for the second time. They said it would get easier. I think they lied. So I needed to quarry this passage for all the wisdom it could muster. And it didn’t disappoint. 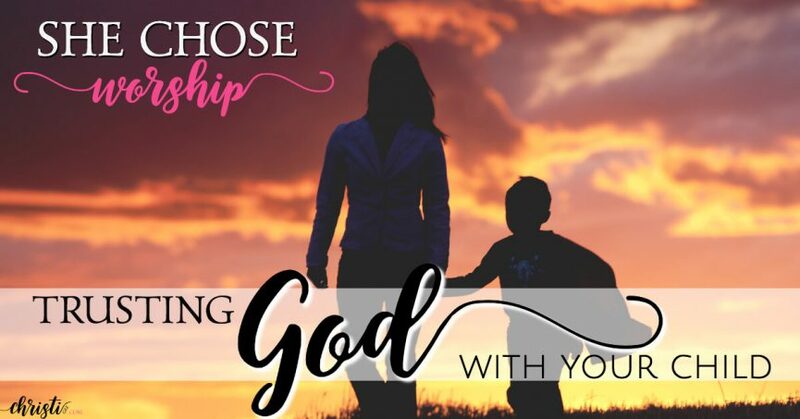 Hannah’s example of worship is brimming with application for every parent, whether you are dropping a piece of your heart off at college, or simply walking away while the Kindergarten teacher takes over for six hours. Hannah lifted her eyes to heaven and raised her voice in a song of thanksgiving. Long before King David wrote, “The LORD is my rock and my fortress and my deliverer … in whom I take refuge,” the mother of his anointer sang: “There is no rock like our God.” (Ps. 18:2, 1 Sam. 2:2) She climbed up on that rock that was higher and received a renewed perspective and an emboldened heart. In Hannah’s example, we learn more about trusting God with both our children and our hearts. Faith is fueled by praise. The ache of emptiness is filled by worship. The fear of the unknown is calmed by the recollection of who God is. And the power to trust is both granted and sustained by the One who is trustworthy. Dear one, I don’t know what stage you’re facing with your children, but I do know that each phase brings a whole new set of competing sentiments. I know our emotions have an affinity for the amusement park and can take off on a high-flying roller coaster before we even know they bought a ticket. I know we stress over whether we prepared them enough for the next step or if we were ever adequate for this calling to begin with. I know with each season, we have to learn a new dance. And maybe we even have to get over the regret that we didn’t dance more in the previous stage. I know this: this. is. a. lot. But here in the middle of one woman’s story, I believe we find an answer to our fears, feelings, and sense of loss. Worship holds the power to change both our mindset and our situation. 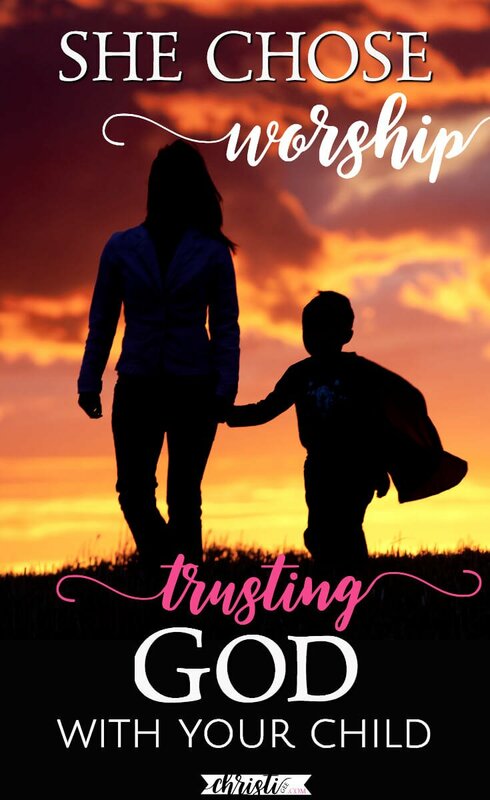 And in doing so, they learned to trust God with their children. 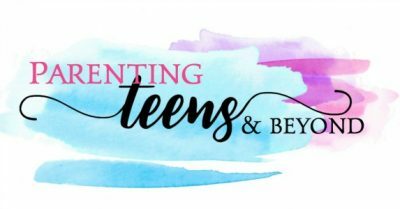 Launching teenagers into young adulthood is not for the faint of heart. You’ll be reminded you’re not alone in this stage. my heart is saddened in a way in which words would do no justice!! I had to leave my precious baby at daycare for the first time. As I feared, he clung to me and cried his beautiful heart out. My heart felt every anxious pain and tear he cried as he looked for me to come rescue him from the strangers. Though I miss him dearly and have prayed nonstop since the start of the transition, I’m encouraged by your well written words! Thank you!! Scripture quotations marked (NIV) are taken from the Holy Bible, New International Version®, NIV® Copyright ©1973, 1978, 1984, 2011 by Biblica, Inc.®. Used by permission. All rights reserved worldwide.